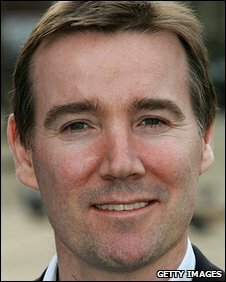 Adam Crozier, who is to become the new chief executive of ITV, seems to have made a habit of taking on difficult jobs. For the past six years, he has been at the head of Royal Mail, where he was credited with dragging the business back into profitability - despite his modernisation programme putting him at loggerheads with unions. Prior to that, he had transformed a Football Association that many saw as outdated and unfashionable into a modern, financially-driven company. Mr Crozier took the bold step of hiring England's first foreign manager - in Sven-Goran Eriksson - but fell out with club chairmen over the way the game should be run. The 46-year-old, who was born on the Isle of Bute, began his career in 1984 as a management trainee with Mars UK, before working in sales and marketing for Telegraph Newspapers. In 1988, he joined the advertising agency Saatchi and Saatchi, where two years later - aged 26 - he became the youngest board member in history. By 1995, Mr Crozier had risen to joint chief executive. The lifelong Celtic fan had trials with Hibernian and Stirling Albion before making his name in advertising. 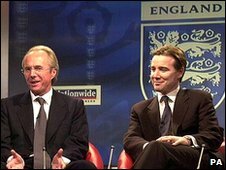 His first contact with the FA came as a communications adviser to England's unsuccessful bid to host the 2006 World Cup. And, in January 2000, he was a surprise choice to run the organisation - a job he did not always do in a manner that pleased those around him. In two-and-a-half years in the job, Mr Crozier tried to revolutionise the way the game was run. He made the FA richer than ever, finally getting it to be run like a commercial operation. However, the radical nature of his task meant he was always going to step on toes. The men behind football in England were resistant to change, with some, including then Chelsea chairman Ken Bates, vehemently opposing almost every idea. Mr Crozier scrapped the FA's 91-strong board which previously made decisions and replaced it with a 12-member committee as the organisation's ruling body. He transformed the association's previously impenetrable inner sanctum, moving the entire operation from Lancaster Gate to new offices in Soho Square and overseeing a fall in the average age of staff from 55 to 32. His actions led some at the Premier League to argue that Mr Crozier was acting beyond his powers. And despite making more money for the Premiership clubs, many claimed he regularly failed to consult them, or even his own FA officials. When Kevin Keegan quit as England coach less than a year into Mr Crozier's tenure, he indicated his attitude towards the FA's committee system by announcing he would personally head-hunt a replacement. "You can't have groups of people making decisions. It doesn't work," he said at the time. He rocked the boat further by deciding not to restrict the search to English-born managers and eventually overcame public opinion to appoint Eriksson. The move proved, at least initially, a success. Mr Crozier eventually quit in October 2002, citing a "difference of opinion" over how the game should be run and regulated. Within a few months, he was taking the helm at Royal Mail. He described his brief as carrying out the "biggest corporate turnaround programme in the UK" and focused in particular on its marketing operation. When he took over, the company was losing more than £1m per day. Its last figures revealed annual profits doubled to £321m and that all four parts of the business went into the black for the first time in 20 years. 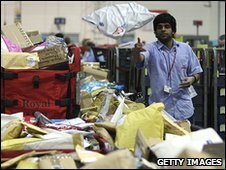 Its main letter delivery and Post Office arms returned to profitability, despite mail volumes falling 5.5% in the year to March 2009. However, they were predicted to fall by almost double that in the current financial year. Mr Crozier's tenure was marred by disputes with workers unhappy at his modernisation plans. He oversaw the loss of around 60,000 jobs, while collecting seven-figure sums once bonuses were taken into account. A national postal strike in 2007 ended after both sides signed a 14-page agreement on pay and changes to working practices. But the introduction of new technology and automation to improve efficiency remains a sticking point, as does pay restructuring, as indicated by the latest strikes last year. In 2009, Mr Crozier denied accusations he had taken a back seat in the dispute, saying he was not involved in the direct talks because his focus was instead on talking to affected customers. The chief executive was also working with what he described as a "giant millstone around our necks" in the form of a £6.8bn pension deficit, which prompted government attempts to sell off a stake in the business. In ITV he will take on another difficult challenge, with the company's advertising revenues having plummeted during the downturn and in the face of competition from satellite, cable and Freeview services. ITV chairman Archie Norman described Mr Crozier as having " a great track record in delivering transformational change", which could again see him ruffling feathers. But BBC correspondent Nick Higham said the new chief's background in advertising gives him the "right kind of credentials" for the job. "Generally, he's portrayed as a forward-thinking, highly professional manager... a safe pair of hands," he added.